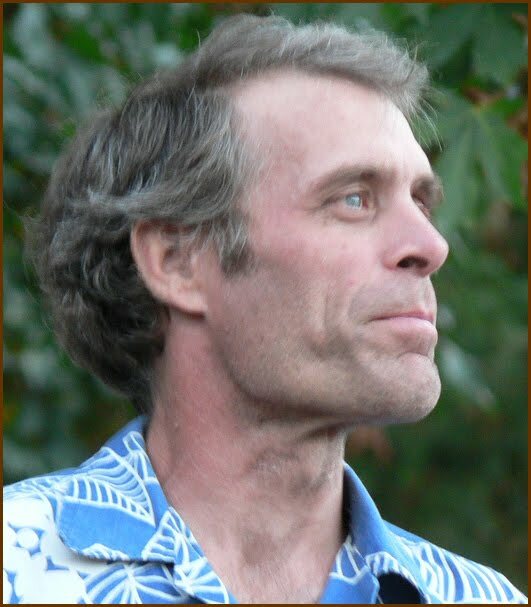 We are celebrating Thom Powell Week He will be speaking at an engagement sponsored by Oregon Sasquatch Symposium and University of Oregon on November 3rd. In 2004 the first edition of this work, Meet the Sasquatch, accompanied a sasquatch exhibit at the Vancouver Museum, British Columbia, Canada. In that same year, it won the Anomalist Book of the Year Award in the category of best illustrated book. General feedback and comments from numerous researchers, together with new findings, indicated that the work should not be simply reprinted. As a result, it has been updated, with a considerable amount of new material added, and has now become Know the Sasquatch/Bigfoot. 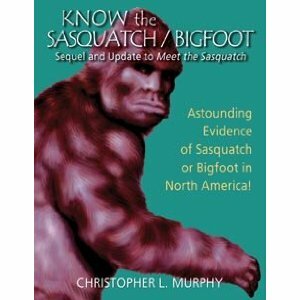 For this new edition, Chris Murphy again consulted many major sasquatch/bigfoot researchers, scientists, and others. The information provided is the latest available, and again is highly authoritative. We were fortunate to get a copy of this exclusive and extensive book about the Sasquatch; as much about the creature as it is about those that investigate. We literally read all 300 pages cover to cover in one night. One of the chapters covers none other than Thom Powell. Below we have a short excerpt from that chapter. THOM POWELL: THE CONTEMPORARY RESEARCHER. Thom Powell is best known as author of The Locals, an entertaining and informative book that presents some of the stranger, even "paranormal," aspects of the Sasquatch phenomenon. The book has been acclaimed for providing fresh information, fresh perspectives, and being well-written. Conventional scientists, of course, have no patience with even a hint of paranormalism, so Thom has had to "ride that tide," like many others who have reported findings in that connection. Thom's interest in the Sasquatch began as a skeptical science teacher, searching for local examples of pseudoscience that he could use in his middle school science lessons. Thom did not take the whole Sasquatch matter seriously until he moved from downtown Portland to outlying Clackamas County, Oregon, in 1988. There he met neighbors who reported Sasquatch sightings in the immediate vicinity. In an effort to debunk those sighting claims, Thom got to know local Sasquatch researchers such as Joe Beelart and Frank Kaneaster, who had track casts and other evidence to share. Thom's interest in photography led to an interest in deploying remote wildlife cameras (camera traps) in an attempt to resolve his questions about the validity of the whole Sasquatch issue. In the late 1990s, this initiative led to involvement in Ray Crowe's local organization, the Western Bigfoot Society, and Matt Moneymaker's fledgling Bigfoot Field Researchers Organization (BFRO). At about this time, the BFRO was making organizational changes, and Thom soon became the regional director for the Pacific Northwest. As he continued to pursue his interest in camera systems, Thom was overwhelmed with BFRO sightings to investigate, and as a matter of necessity, he steadily added regional investigators including Jeff Lemley, Leroy Fish, Rick Noll, and Allan Terry. In 2000, this group collaborated on the BFRO's Skookum Expedition. The expedition was actually organized to support an Australian film crew that was producing a segment for a cable TV series on cryptids called Animal X On the advice of Joe Beelart and Henry Franzoni, Thom took the expedition to the Skookum Meadows area of Washington's Gifford Pinchot National Forest. Due to an extraordinary set of circumstances, the well-known Skoopkum Cast was produced (see: Chapter 8, section: The Skookum Cast), Which became not only a valuable item of sasquatch evidence, but also the first completed chapter of what would eventually become Thom’s book.